Do you know the basics of Biosimilars? Expert faculty dive into strategies for you to optimize alternatives in patients with inflammatory diseases. Healthcare spending has grown much faster than the rest of the economy, and this trend is seemingly unsustainable.1 Biologic agents are highly effective against inflammatory diseases, but may be restricted by many healthcare plans due to cost. Biosimilars offer a potential solution as a cost-effective alternative to biologic agents. Biosimilars have been available in Europe since 2005. In the United States, the first biosimilar to be approved was filgrastim, a human granulocyte colony-stimulating factor. The first biosimilar to be approved for inflammatory diseases was the monoclonal antibody, infliximab-dyyb. Infliximab-dyyb was approved in April of 2016 for rheumatoid arthritis (RA), adult ulcerative colitis (UC), psoriasis, psoriatic arthritis (PsA), ankylosing spondylitis (AS), and adult and pediatric Crohn’s disease (CD). Since then, 3 additional biosimilars have been approved in the United States and many others are in development. In this CME Outfitters Q & A session, expert faculty go in-depth answering participant questions while offering evidence, guidelines, and quality measures for collaborative strategies to optimally use biosimilars in patients with inflammatory diseases. 1. Feagan BG. Debate: biosimilars - use as indicated, in place of our current biologics. Presented at: 2015 Advances in Inflammatory Bowel Diseases: Crohn’s & Colitis Foundation’s Clinical & Research Conference; December 6-9, 2015. 2. Kay J. A primer on biosimilars: how do biosimilars compare with reference biologics and generics? Medscape Website. http://www.medscape.org/viewarticle/837696. Published May 28, 2015. Distinguish biosimilars from generic agents in the management of inflammatory diseases. 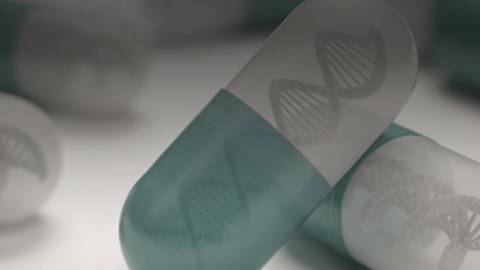 Summarize interchangeability of biosimilars with reference biologics and how it impacts clinical practice. Debate and evaluate the safety and efficacy of emerging biosimilars in the treatment of inflammatory diseases. Dr. Calabrese reports that he is a consultant for AbbVie Inc.; Centecor Biopharmaceutical; GlaxoSmithKline; Horizon Pharma; Janssen Pharmaceuticals, Inc.; Pfizer Inc.; Regeneron Pharmaceuticals, Inc.; and UCB, Inc.